702 9060 UNIVERSITY Crescent Burnaby V5A 0C9 : Simon Fraser Univer. Stunning, is the best way to describe this home located in UniverCity; Vancouver's premier lifestyle & family friendly neighborhood. Enjoy South/East exposure & Mountain views from every room. This 2bed/2bath/869sqft home offers an efficient open floor plan, 9' ceilings, an abundance of light, quality flooring, GE Cafe apps, quartz counters, a large kitchen w/island, covered balcony & much more. 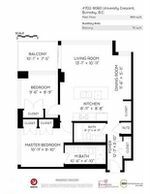 Spacious master has walkin closet, 4pc ensuite w/dble sinks. Gaze at Mnt Baker from a well-sized 2nd bd. 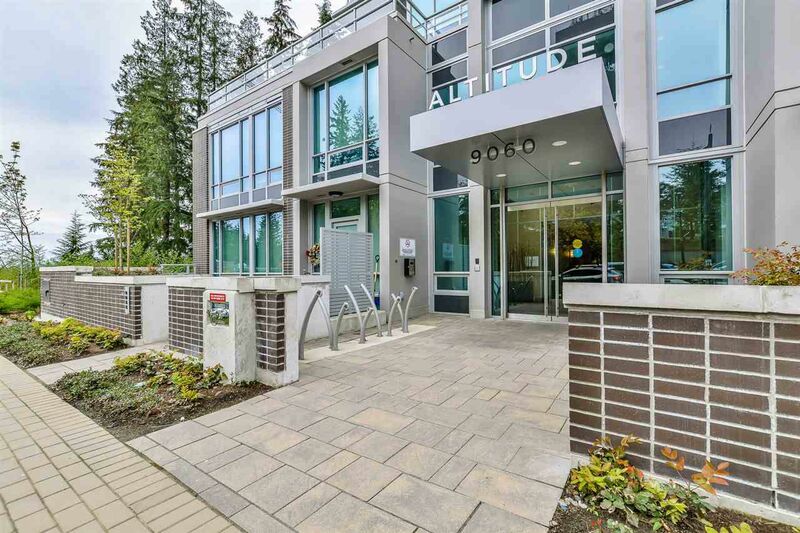 Altitude is Vancouver's highest tower, 1yr yng & rental & pet friendly. Bonus: 1 locker & parking. Walk to: transit, campus, childcare, shopping, indoor/outdoor rec. & a host of resident-only perks. Act Now! OPEN HOUSE Sat Jun 17 from 2 to 4.